As the current administration is pressured and ordered by federal courts to reunite immigrant children forcibly separated from their parents at the border, nonprofits are often left to actually make it happen. Over 3,000 children were removed from their parents at the border under President Trump’s “zero tolerance” policy for immigrants who crossed the border illegally; opponents maintain this measure was punitive and meant to deter migrants from seeking safety, asylum, and refuge in the United States. Reina Isabella and her 17-year-old daughter, Diana, were separated at the US-Mexico border for more than 40 days. Fleeing violence in El Salvador, the two were met with more violence and ruthlessness at the border, forcibly separated. Reina was brought to a detention facility 300 miles away from where she and her child crossed the border, and Reina was not told where her daughter was and was not able to communicate with her. Only through the work of the Austin nonprofit Grassroots Leadership was Reina able to apply for asylum and be reunited with Diana. The nonprofit paid her $1,500 bond, located Diana in Brownsville, Texas, and negotiated a visit a few hours long. Despite proving to the US Department of Health and Human Services (HHS) that Reina had a place for her and Diana to stay waiting for their asylum case, the Department would not release Diana. With nowhere to stay in southern Texas, Grassroots Leadership paid for a motel for Reina as she waited for the caseworkers to release Diana. Finally, through the work of Reina and her partnership with Grassroots Leadership, the pair were reunited. Advocates working with migrant families wonder how the federal government can expect parents to navigate the reunification process on their own. Claudia Muños, director of the immigration programs at Grassroots Leadership has seen how much support Reina had, and how difficult it was for her to be reunited with only one child. The organization has threatened to camp outside shelters after federal officials showed little interest in reuniting two other mothers with their children. Without their advocacy and service, Reina and Diana could still be hundreds of miles apart. Grassroots Leadership is joined by other nonprofits serving migrants separated from their children at the border, including a woman identified as W.R., who was separated from her nine-year-old son. For two days, they were separated by a glass wall, but when W.R.’s son was removed from the facility, she had no idea where he was for 45 days. W.R. watched, screamed, and shouted as her son was removed by federal agents. Fleeing domestic violence in Brazil, W.R. and her son received help from the Lawyers’ Committee for Civil Rights and Economic Justice in Massachusetts. This organization helped reunite the pair, despite government attorneys claiming that releasing her son would “divert resources from an orderly and timely reunification” of the other children who remain separated from their parents. The reasoning behind the attorneys’ statement is unclear. As of July 10th, the federal government missed the deadline to reunify all 98 immigrant children under the age of five who were separated at the border from their parents; they are in the process of reunifying 51 children at this time. However, this time period has been extended by a federal judge who believes the process of finding and vetting parents is difficult. Part of these difficulties stem from the fact that 12 parents have been deported, eight were released (and as in the case of Reina, many were released far from where their children were detained), 10 are in custody, and more were determined to be not the parents or having criminal records. In the United States, it is not illegal to have a criminal record and maintain custody of your children. Due to the zero-tolerance policy, forcible separation, and poor documentation, nonprofits in border towns and across the country are stepping up to meet the new, expanding needs of immigrant families and individuals as they navigate the difficult asylum-seeking or immigration process and cope with the separation from their children. While the separation was catalyzed by the federal government, nonprofit organizations are strapped with the responsibility of helping thousands of migrant parents locate their children and move on safely to claim status, or to at least be deported together. 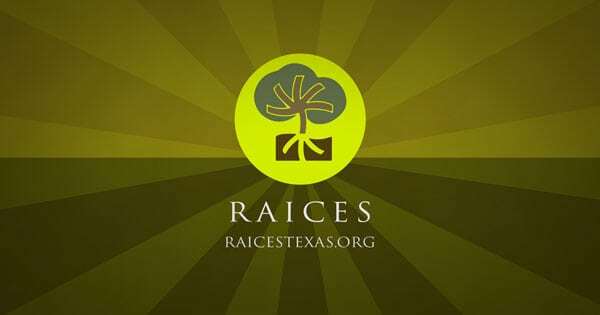 The Texas nonprofit, Refugee and Immigrant Center for Education and Legal Services (RAICES) received over $20 million in a viral fundraiser, aimed at helping reunify parents and children. RAICES has used more than $82,000 to pay off bonds for immigrant parents being detained but is struggling with how to use the funding quickly and appropriately to serve these individuals. Executive director Jonathan Ryan said RAICES would give the money to the Department of Homeland Security, who oversees separated parents. RAICES has called on the federal government to use the funds raised to pay off bonds and transport parents to their children to speed up reunification. However, there are no formal contracts to do so. Even with the funding available, RAICES is overwhelmed by the scope and demand of this crisis caused by the zero-tolerance policy.